As people age, they experience new sleep patterns. Insomnia creeps in and falling asleep takes longer. Sleep fragmentation, when sleep is interrupted by repeated awakenings or arousals, can also be a problem. Changes that occur in circadian rhythms, the body clock that coordinates timing of bodily functions, including sleep, can cause older people to become sleepier in the early evening and to wake earlier in the morning. Sleep problems can stem from an underlying medical or psychiatric condition, but they are also a risk factor for further health issues, including cardiovascular disease. Poor sleep quality has been linked with more severe arteriolosclerosis in older people’s brains and of higher levels of oxygen-starved brain tissue, or infarcts. These factors increase the risk of stroke and cognitive impairment. In the current study, researchers wanted to see if there was an association between sleep fragmentation and detailed microscopic measures of blood vessel damage and infarcts in autopsied brain tissue from the same individuals. The team, led by Dr. Andrew Lim, an assistant professor of neurology at the University of Toronto, Canada, examined autopsied brains of 315 people, of whom 70% were women; the average age was 90 years. Participants had undergone at least 1 full week of around-the-clock monitoring for rest or activity, from which sleep quality and circadian rhythms were quantified. Sleep fragmentation caused sleep to be disrupted on average almost seven times each hour. In all, 29% of the patients had suffered a stroke, while 61% had signs of moderate to severe damage to their blood vessels in the brain. Greater sleep fragmentation was associated with a 27% higher chance of having severe arteriolosclerosis. For every additional two arousals per hour of sleep, there was a 30% higher chance of having visible signs of oxygen deprivation in the brain. Other cardiovascular risk factors, such as body mass index (BMI), smoking history, diabetes, hypertension and other medical conditions such as Alzheimer’s disease, pain, depression or heart failure were all adjusted for. Monthly blood transfusions may lower the chances of “silent” strokes in some children with sickle cell anemia, a new clinical trial indicates. The study, reported in the Aug. 21 issue of the New England Journal of Medicine, found that in children with a previous silent stroke, monthly blood transfusions cut the rate of future strokes by more than half. However, Casella also stressed that “this study is a first step, not the last one.” Many questions remain, he said. 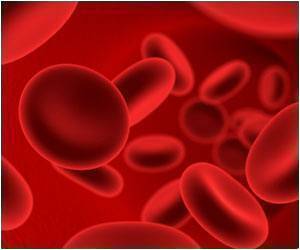 A big one is, do the blood transfusions have to be continued for life? “It’s possible the treatment could be indefinite,” Casella said. Sickle cell anemia is an inherited disease that mainly affects people of African, South or Central American or Mediterranean descent. In the United States, about one in 500 black children are born with the condition, according to the U.S. National Institutes of Health. The central problem in sickle cell is that the body produces red blood cells that are crescent-shaped, rather than disc-shaped. Those abnormal cells tend to be sticky and can block blood flow. About one-third of children develop problems with blood flow to the brain, including strokes and silent strokes — so called because they cause no obvious symptoms, but leave behind areas of tissue damage in the brain. For the new study, Casella’s team used MRI brain scans to screen over 1,000 sickle cell patients between the ages of 5 and 15 for signs of a past silent stroke. In the end, 196 children with a previous stroke were randomly assigned to one of two groups: one received monthly blood transfusions, and one stayed with usual care. Over three years, 6 percent of kids in the transfusion group had a new silent stroke or, in one case, a full-blown stroke. That compared with 14 percent of kids in the other group. While the study found an association between blood transfusions and a lower risk of a silent stroke, it did not prove a direct cause-and-effect link. What is the benefit of preventing silent strokes? Casella said the brain injury can lower a child’s IQ and impair “executive function” — vital mental abilities such as focusing attention, planning and organizing. In this study, there was no evidence that kids on transfusions had higher IQs or sharper mental function. But the children were followed for only three years. And it’s reasonable to assume that preventing silent strokes would ultimately protect brain function, said Dr. Martin Steinberg, director of the Center of Excellence in Sickle Cell Disease at Boston University School of Medicine, who wrote an editorial published with the study. The big questions, according to Steinberg, center on how to translate this treatment from a clinical trial, done at large academic medical centers, to the real world. Monthly transfusions are not a simple matter, Steinberg noted. For one, kids have to be monitored for side effects like “iron overload,” which is very common. Excess iron in the blood is potentially dangerous because the mineral can damage organs, and it may require treatment with special “chelating” drugs that draw excess iron from the blood. And while this study ran for three years, blood transfusions would almost certainly have to continue for a longer time, according to Steinberg. “I don’t think three years would be enough,” he said. “Sickle cell disease doesn’t go away.” He pointed to a 2005 study where transfusions were used to prevent overt — not silent — strokes; as soon as the treatment was stopped, patients’ stroke risk climbed again. Casella said that based on his team’s findings, it’s reasonable for children with sickle cell to have an MRI brain scan before starting elementary school. If there are signs of a silent stroke, transfusions could be considered. But whether that will become the standard remains to be seen. Casella agreed that the hospital resources might not be there, depending on where a family lives. And at least for now, insurers are unlikely to cover the costs. If you’ve had shingles before the age of 40, you could be at an increased risk for heart disease and stroke. According to Counsel & Heal, researchers followed individuals for an average of 6.3 years after they had contracted shingles. The study found that participants who had shingles before age 40 were 50 percent more likely to have a heart attack than people who did not have the disease; they were also 74 percent more likely to have a stroke. Given these findings, lead researcher Dr. Judith Breuer of University College London recommended that anyone with shingles be screened for heart and stroke risk factors. “The shingles vaccine has been shown to reduce the number of cases of shingles by about 50 percent,” Breuer told Counsel & Heal. Current shingles vaccination recommendations are for anyone over the age of 60. Researchers have yet to determine the role of vaccination in younger individuals, Breuer said. Men and women with severe symptoms of anxiety may have a higher risk of stroke than their more relaxed counterparts, a new study suggests. “The greater your anxiety level, the higher your risks of having a stroke,” study co-author Dr. Maya J. Lambiase, of the University of Pittsburgh School of Medicine, told Reuters Health. “Assessment and treatment of anxiety has the potential to not only improve overall quality of life, but may also reduce the risk of cardiovascular diseases, such as stroke, later in life,” she said in an email. Dr. Philip Muskin, a professor of psychiatry at Columbia University Medical Center in New York emphasized that the stroke risk identified in the study among overly anxious individuals was not vastly increased. 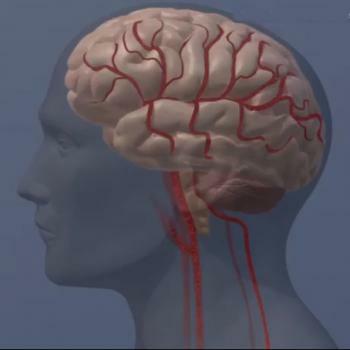 Stroke is one of the leading causes of death in the U.S., but few studies have looked at psychosocial factors other than depression or psychological stress or distress, that may contribute to a person’s risk of stroke. Yet, Lambiase and her colleagues point out, anxiety has been linked to increased cigarette smoking, alcohol abuse and physical inactivity – all of which are known to increase stroke risk. To investigate the association between anxiety and stroke, the researchers analyzed data from 6,019 men and women who were enrolled in the First National Health and Nutrition Examination Survey in 1971-1975 and followed for about 16 years. The participants were interviewed at the start of the study to determine the presence and severity of any anxiety symptoms, and stroke events were identified by examining hospital or nursing home discharge reports and death certificates. A total of 419 strokes occurred throughout the study period, but the risk of stroke was higher among those who reported greater anxiety symptoms, including excessive feelings of worry, stress and nervousness, at the initial interview. Overall, anxiety was linked to a 14 percent higher risk of stroke relative to participants who were not anxious, Lambiase and her co-authors report in the American Heart Association journal Stroke. But stroke risk also appeared to rise in line with increasing severity of anxiety symptoms, the results suggest. The link between anxiety and stroke risk remained even after the researchers took into consideration other factors that may have influenced cardiovascular health, such as alcohol use, physical activity and smoking. After those adjustments, men and women with higher levels of anxiety were 33 percent more likely to experience stroke than those with fewer anxiety symptoms. Similarly, the link between anxiety symptoms and increased stroke risk remained when the researchers accounted for study participants’ age, gender and symptoms of depression. The researchers didn’t analyze the reason for the connection between anxiety and stroke, but they speculate multiple factors are likely to be involved. These could include unhealthy coping behaviors people with anxiety indulge in as well as overactivation of the sympathetic nervous system, which controls fight-or-flight responses, such as the release of stress hormones. Dr. Muskin acknowledged that the study findings do point to a greater risk of stroke among overly anxious people, “but there are things you can do about that,” he said. Noting that “anxiety predicts bad health behaviors,” Dr. Muskin cited the importance of stopping smoking and starting to exercise. He also described the importance of meditation and proper breathing techniques, which he teaches in his private practice with patients. “Doing nothing leaves you at a higher risk (of stroke),” he said, but breathing exercises have “a psychologically beneficial effect,” with no harm and no addicting qualities, he told Reuters Health.